Spacetrooper armour functions as a small personal attack craft. 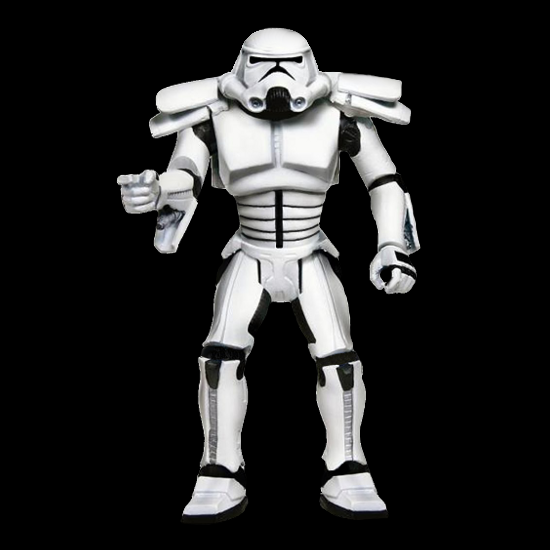 The Zero-G Assault suit is designed to interface with standard stormtrooper armour. Inside the cabin, the soldier has access to an array of controls that range from targeting and sensor arrays to life support and navigation as well as a heavy laser and a concussion missile launcher. 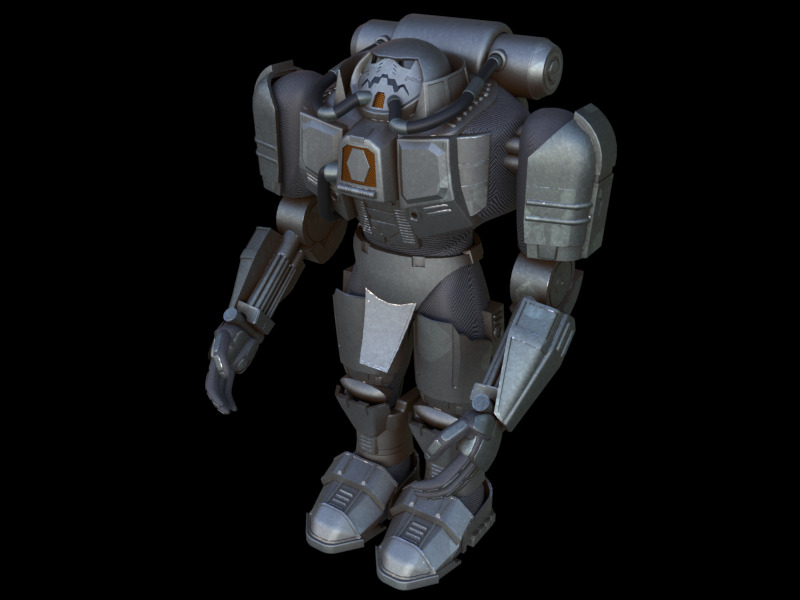 This power armour provides environmental protection against the vacuum of space and a repulsorlift propulsion unit that enables the soldier to move and fight in space for extended periods. The primary function of the two-meter tall spacetrooper armour involves capturing enemy vessels intact and containing rebellious crews. A spacetrooper's equipment usually consists of laser cutters and power vibro-saws for quick penetration into a vessel's hull and magnetic couplers that attach to any metallic surface. Thus, a platoon of spacetrooper soldiers can overtake a smaller capital ship with a determined assault.